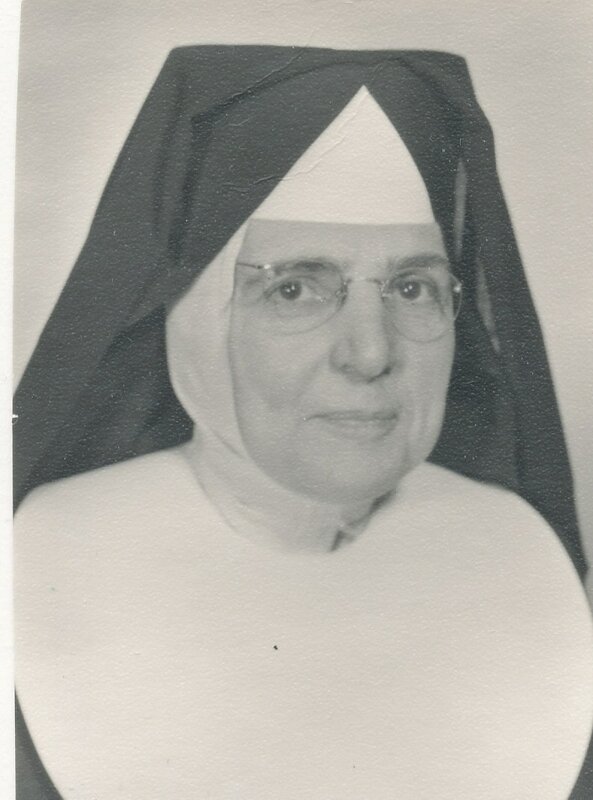 Ministries: Sr. Monica taught grades 3 through 8 in our schools in the Archdiocese of Chicago and Joliet (West Chicago) from 1932 to 1969. 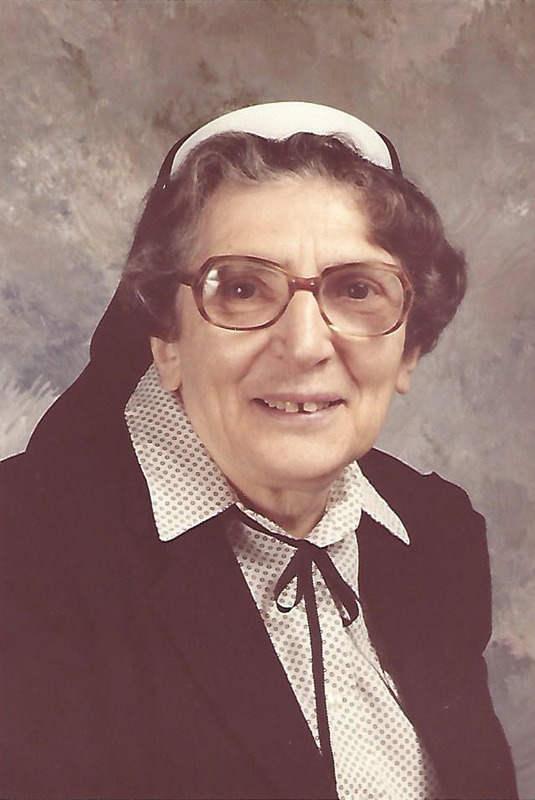 She taught grades 7 and 8 and was principal at St. Attracta from 1963 to 1972. 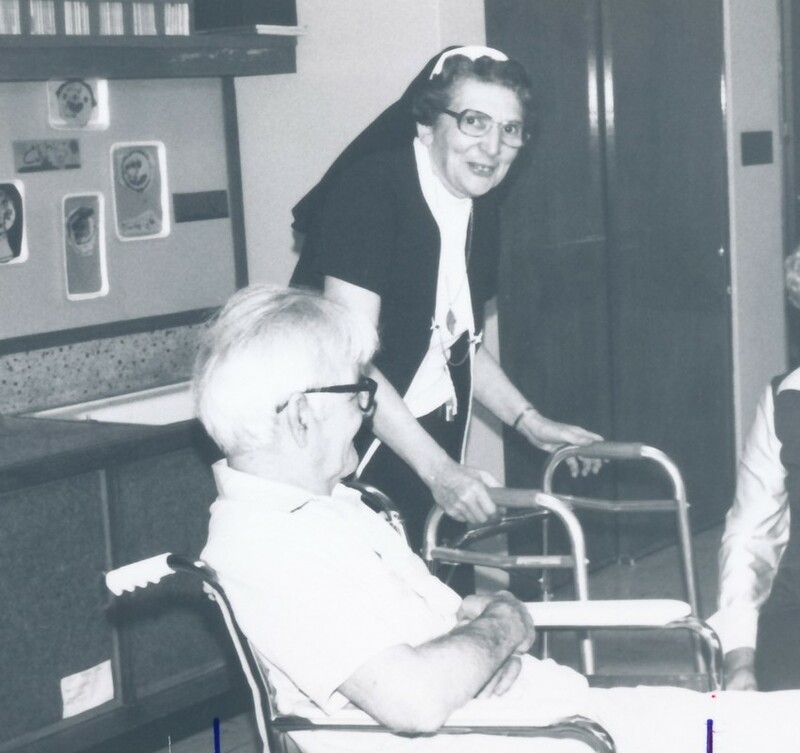 She retired from teaching in 1972 and worked as a parish pastoral associate and with senior citizens at St. Mary Parish in West Chicago from 1972 to 1989. Then she became a parish pastoral worker for 17 years. 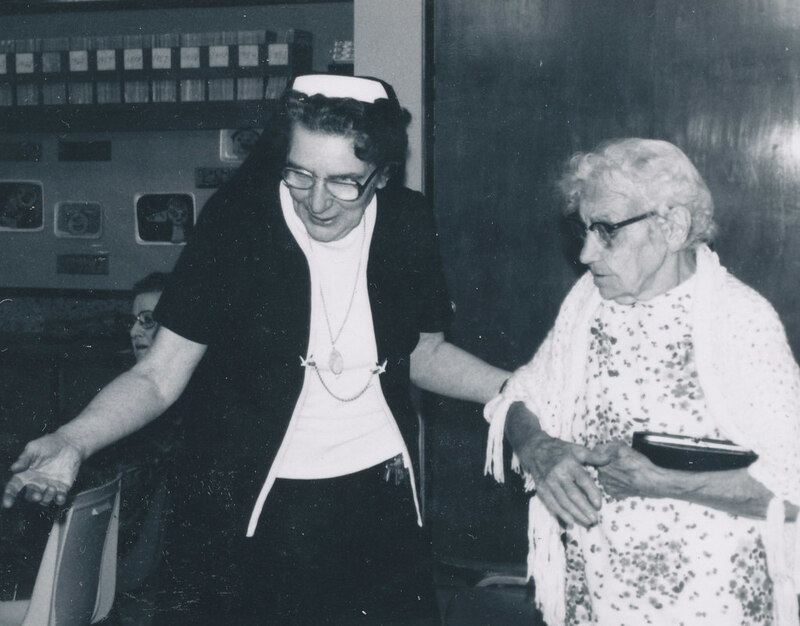 Number of parishes where she worked: During her teaching career, Sr. Monica taught at nine Chicago and suburban schools in the Archdiocese of Chicago and the Diocese of Joliet. 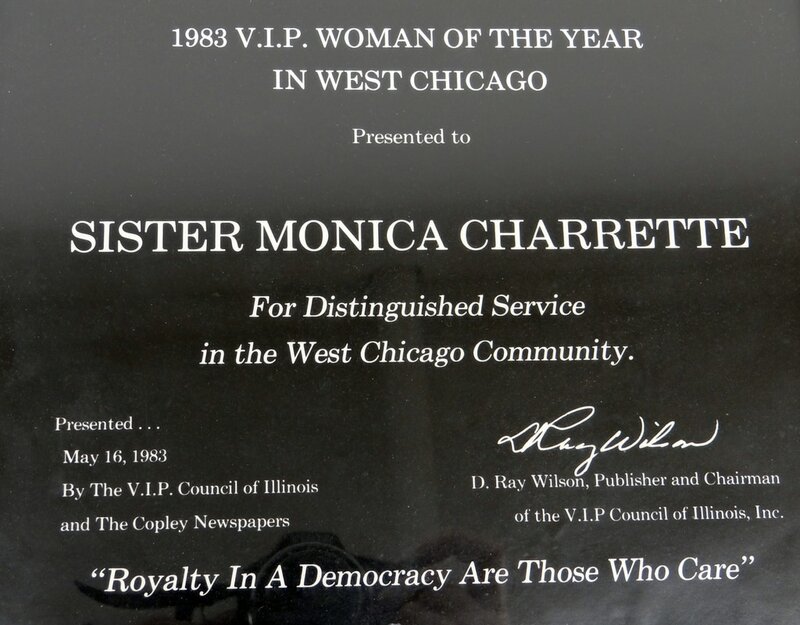 Sr. Monica received the VIP Woman of the Year Award in West Chicago on 5/149/1983. 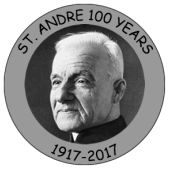 Date of death: 1/14/2006 Died of a heart attack at 92 years of age.